Apple Experts Ask: Are Apple’s Best Days Ahead? 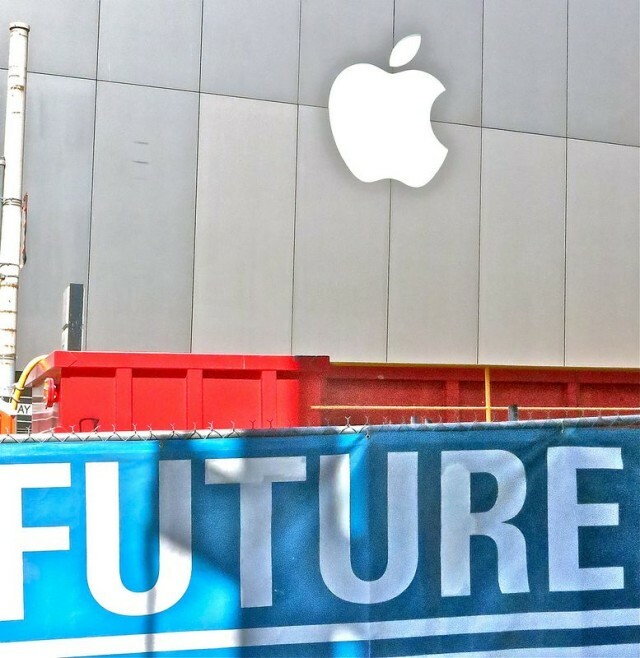 Predicting the future of Apple is probably the no. 1 party game in Silicon Valley. The venerable Churchill Club, which has been gathering luminaries to discuss tech in Menlo Park since 1985, has assembled a panel of experts who have some real insight in to the days ahead for the Cupertino company. This Tuesday, March 4, they’re hosting what will surely be lively and provocative conversation with four Apple authors titled: “Are Apple’s Best Days Ahead?” . Apple authors Kahney, Kane, Vogelstein and Lashinsky. The discussion features Yukari Iwatani Kane, author of “Haunted Empire: Apple after Steve Jobs;” Fred Vogelstein, contributing editor, Wired, and author of “Dogfight: How Apple and Google Went to War and Started a Revolution;” and Cult of Mac’s own Leander Kahney, whose latest book is “Jony Ive: The Genius Behind Apple’s Greatest Products.” Adam Lashinsky, sr. editor-at-large of Fortune Magazine and author of “Inside Apple: How America’s Most Admired – and Secretive – Company Really Works” will be keeping the experts in line and on topic. Apple is the richest company on the planet and the world’s most valuable. And yet, since Steve Jobs died nearly 2.5 years ago, few companies have been the object of such scrutiny. Three new books have taken a crack at understanding this dichotomy, and we’ve invited the authors to contribute their perspectives. Don’t miss this provocative and insightful conversation—ranging from organization and culture, to leadership, design, and competition–that is sure to leave you with new perspectives of your own. “Are Apple’s Best Days Ahead?” Churchill Club, Menlo Park. March 4, 2014 7 p.m.